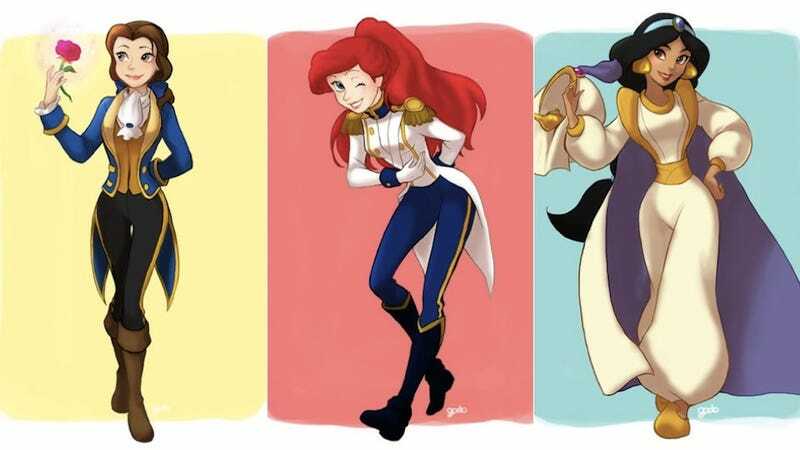 Haruki Godo plays with Disney costuming by dressing various animated princesses in the clothes of their respective princes. Some of them look even better in boots and pants than they do in their usual outfits. Godo has other crossdressing Disney ladies in his deviantART gallery, including Rapunzel, Vanellope, Tiana, and Megara. It's definitely an argument for more pants-wearing princesses.